Downloaded and deleted within 1 minute after nearly throwing my phone on the floor. It’s not a video editor! 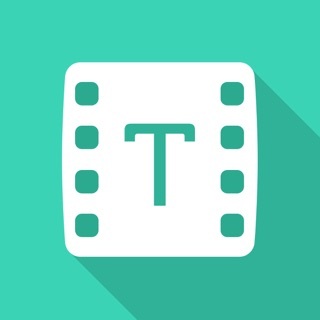 Extremely poorly described app, "Turn raw video clips and photos into tightly edited masterpieces to share with your friends, in just three simple steps" suggests a competitor to iMovie and Splice etc, but it's not, it's more of a documentary or story telling recording tool with no actual video EDITING features at all. Step 1 is simple enough, select the recorded video(s) you want to include from your camera roll, so far so good. Step two is where it all goes to pot if you were expecting a regular video editor as at this stage it forces you to record another video clip, suggesting you talk into the camera giving background information on the videos chosen in step 1, talking about the video as if you were a newsreader talking about some footage. Step 3 forces you to chose some kind of background music after which it just merges it all together with no input from the end user, no video trimming, no fade control, nothing. I'm sure it's OK for those that want to make mini documentaries with narration or have dreams of being the next Trevor McDonald, but if like me you've read the description and expected something to crop and stitch videos together that you've already recorded, this is definitely not the app you're after. 2) Click 'Camera Roll' and press on photos you want which will result in a green box around the selected photos. 3) Click on the small 'Save' button in the top right corner as this will save which photos you wish to use in the video. 4) Your camera will appear on the right. This is where you look into the camera and provide narration for your photos. Only the first few seconds and last few seconds of the narration will be shown as video footage - the rest of the narration will play in the background behind the photos being played as a sideshow. Click the 'Tell your story' button on the left, then the record button at the bottom of the to begin your narration. Click the button in the middle at the bottom again to stop recording. 5) Click the 'Save' button in the top right corner to proceed. 6) On the next screen select the song you wish to play in the background. As soon as you select a song - the app will begin creating your video. 7) It has now automatically been saved to your camera roll. You can still watch it within the app by pressing the 'Watch' button. Hope this has helped everyone.